Welcome. Nau Mae, Haere Mai. I’m so glad you’re here. 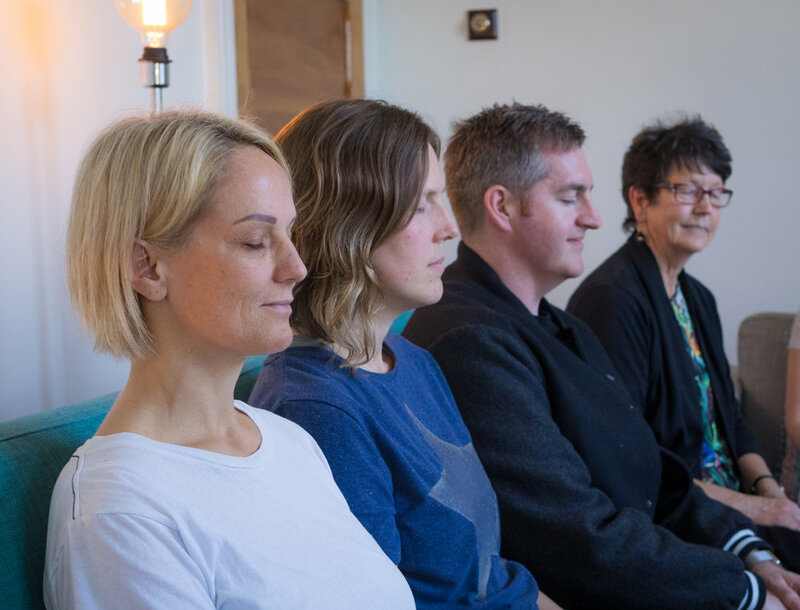 I’m Lauren Godfrey and I help Kiwis reduce stress and increase happiness levels by teaching Vedic Meditation, one of the world’s oldest and most effective forms of meditation. If you’re keen to have a little less stress and a little more bliss in your life, read on, take a look around. And when you’re ready, let’s dive in. So, what is Vedic Meditation? Vedic Meditation is a well-tested, natural and easy technique – practiced for twenty minutes, twice a day, while sitting comfortably in your favourite chair, with the eyes closed. Bliss. Stress has been called “the great health epidemic of the 21st Century” by the World Health Organisation. We know that it affects our physical and mental health, and that depression is set to overcome heart disease as the biggest global health burden by 2020. In Aotearoa New Zealand in particular, our statistics tell us we are at crisis point when it comes to strengthening our collective mental health with 50% of New Zealanders marked to experience a mental health problem at some point in their lifetime. If you are motivated to find tools to reduce stress in your life, become a calmer parent, a healthier grandparent, more productive in your work or a more blissful yogi, Vedic Meditation will get you on the right track, quick-smart, and keep you there for good. Making the decision to invest in your wellbeing is one of the most unselfish things you can do. My students come to the course for many different reasons, and from differing social backgrounds and walks of life. Some have been meditating with apps and are looking for that extra support and rest. Others are completely new to the concept. My group courses are a super safe space to ease into an effective practice and believe me, you will laugh more than you would expect! Introductory talks are held in Auckland and online, weekly. These are a great first step and way to get to know each other. You get to learn about how stress works in the physiology and the findings of Vedic Meditation. I explain how it can work for you and how it is taught. Once you’ve had an intro talk and you’re good to go, you’ll sign up to a course where we get together in a group setting for a 60-90 minute session each day over four days. Afterwards, you’ll be set up to meditate and take charge of your personal happiness for the rest of your life. Simply select the date and location below that suits you. We will get you meditating on the first day of your course and by the next week your shoulders will be lower, your energy higher and you might even start noticing those beautiful trees on the way to work! You’ll then get support in your practice for life from me - I am always just a phone call away. And when you join the crew, you get access to weekly knowledge sessions, heart-felt mentoring and spontaneous dance parties.